Amino acids are the chemical units that constitute protein. While the human body can manufacture most amino acids on its own, it cannot synthesize certain amino acids in sufficient amounts to meet the body’s needs. Such amino acids are called “essential amino acids” because it is crucial that the body acquires them through dietary sources. A deficiency in essential amino acids can result in numerous health problems from indigestion to stunted growth to infertility. 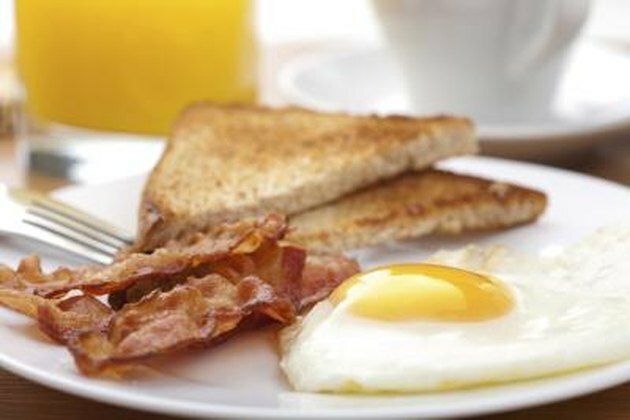 Eggs are considered a complete protein, which means they contain all the protein the body needs, including each of the nine essential amino acids. According to the National Egg Coordinator Committee, one large egg contains 6.3 grams of protein, which amounts to about 10 percent of the daily recommended allowance of protein for an adult. The NECC also reports that the quality of egg protein is so high that scientists use the egg as a baseline to measure the quality of protein in other foods. Animal meats such as beef, pork, chicken and turkey are complete proteins. According to the Centers for Disease Control and Prevention, a 3-ounce piece of meat contains approximately 21 grams of high-quality protein. 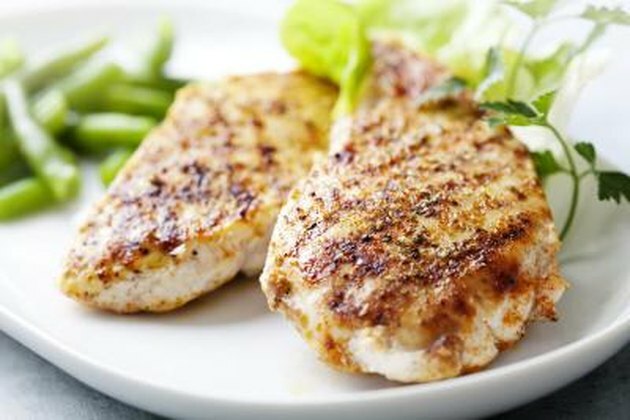 However, even though you’ll get all the essential amino acids you need from meat, the CDC recommends that you select the leanest cuts of red meat or stick with poultry to avoid consuming too much saturated fat along with the protein. 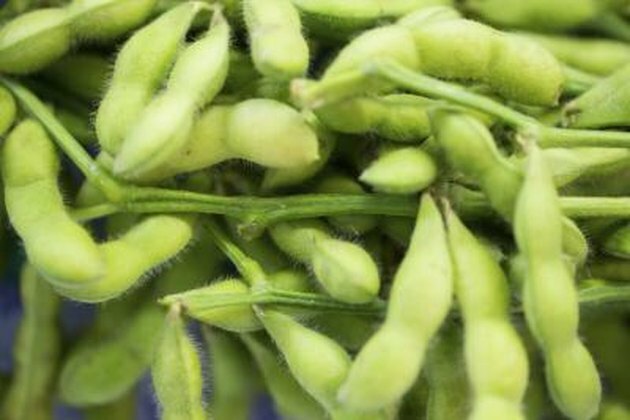 Soybeans are the only plants considered a complete protein. Tofu, edamame, soy nut, miso or even soy milk are all good sources of the nine essential amino acids--and have the added benefit of being low-fat. Recent research has indicated that sometimes soy in the diet may be harmful, however. Soy may affect the thyroid hormone levels in infants and may stimulate tumor growth in patients with hormone-sensitive cancers due to its estrogen-like properties. 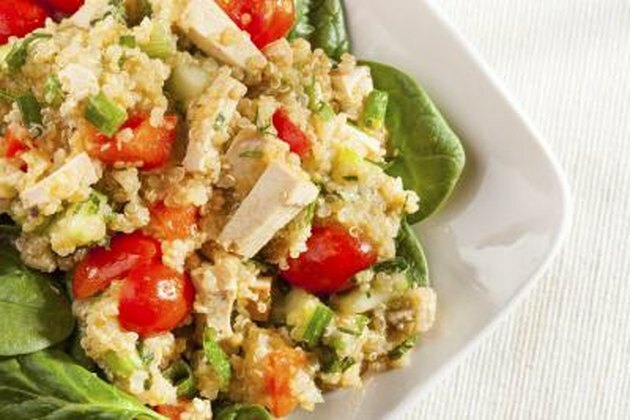 Quinoa is a seed rich essential amino acids. It is the perfect source of protein for vegans as, not only is it a complete protein, it is packed with the essential amino acid Lysine, which is fundamental to tissue development and repair. One cup of cooked quinoa contains 9 grams of protein.